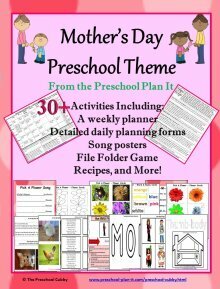 The Preschool Plan It Blog is my way of sharing ideas, teaching tips, thoughts, activities and more....all things preschool! 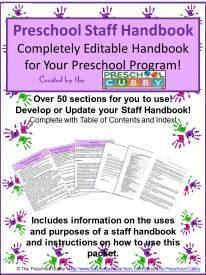 It will also let you know when something new has happened on the Preschool-Plan-It.com website! You can also click on the Google, My Yahoo!, My MSN, or Bloglines button if you have a page with them and follow their instructions to add this blog to your RSS feed with them. 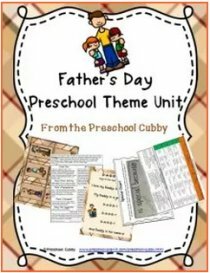 Continue reading "Cubby Info "
Continue reading "Senses, Sentences and Cents...so funny!" Continue reading "Milk is What Now?!" 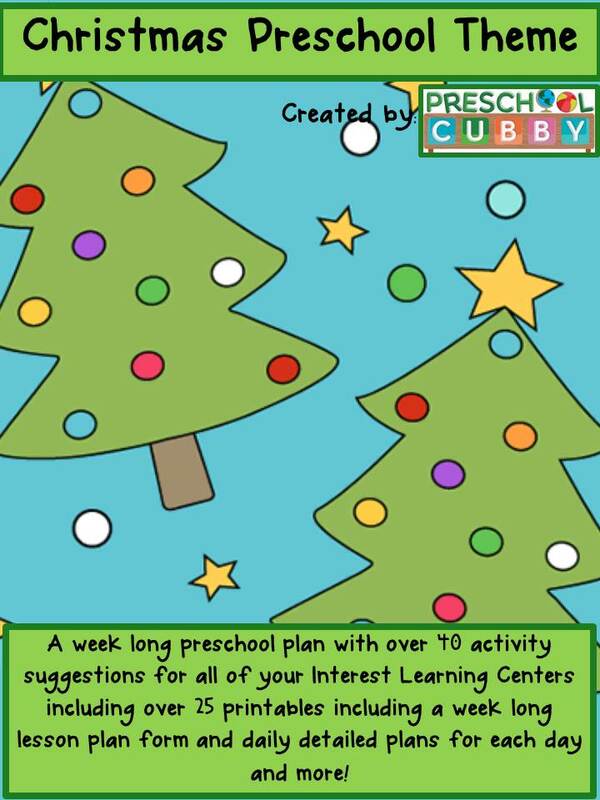 This Preschool Christmas Theme Resource is a 98 page packet that includes a weekly lesson plan, detailed daily lesson plans and over 25 printable activities ready to print, laminate and use! 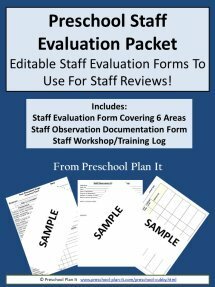 Continue reading "Christmas Theme Resource Packet"
This Preschool Thanksgiving Theme Resource is a 96 page packet that includes a weekly lesson plan, detailed daily lesson plans and over 20 activities ready to print, laminate and use! 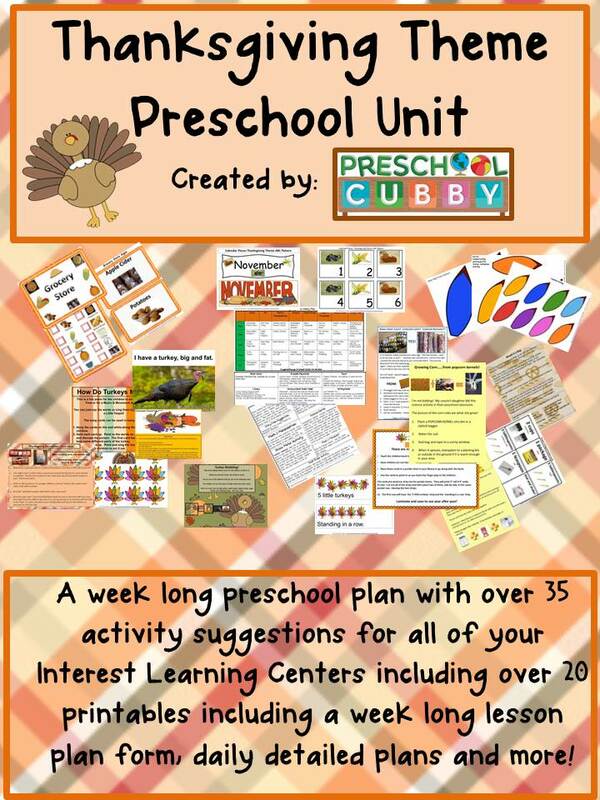 Continue reading "Thanksgiving Theme Resource for Preschool"
“Take Turns!” “Share!” These are words and phrases used often in preschool classrooms. What's a teacher to do? 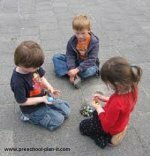 How do we go about teaching preschoolers to share and take turns? 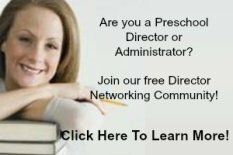 Continue reading "STOP Telling Your Preschoolers To Share and Take Turns!" 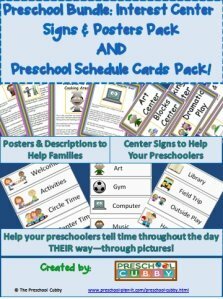 Preschool themes page with activities for art, science, math, dramatic play, reading, writing and more for over 140 themes! 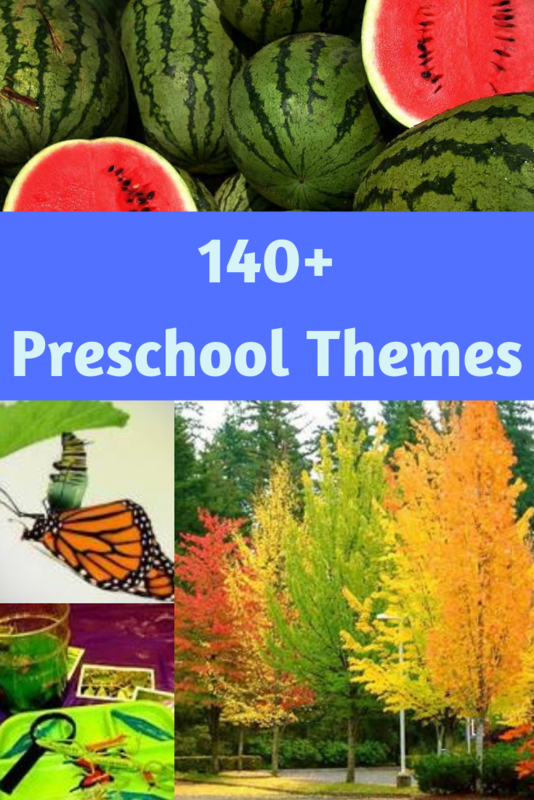 Continue reading "140+ Preschool Themes with over 4,000 Activities!" 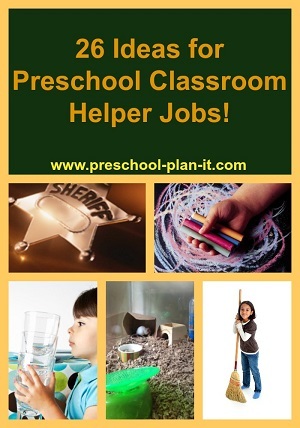 Continue reading "Preschool Classroom Jobs"
Continue reading "Fine Motor Activities"
Preschool allergies are common. 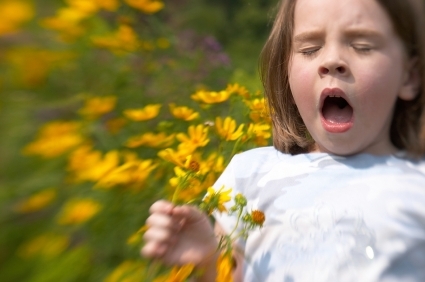 It is important that you know of all allergies and that all of your staff are aware of which students have which allergies. Not signed up for the blog yet? You'll receive an email everytime something new is added to the website!